Last week marked the first time since November 12, 2018 that the Brent Crude price had spent five consecutive days above what has historically been a psychological US$70 per barrel mark. Breaks above or below this level have tended to be a precursor for a much larger rally or fall since first claiming this mark approximately 13 years ago. When Brent first captured the US$70 per barrel in April 2006, it was followed by a relatively quick retreat, and the price drifted around that level for a few months before retreating to less than US$50 per barrel at the start of 2007. With a 40% spike required at that time to revisit the US$70 per barrel mark, pundits pondered whether they would see black gold trading again at those levels. However, in just a matter of months, the rally to US$70 per barrel unfolded, marking the start of an incredible surge that would see it hit US$140 per barrel some 12 months later. The next big rally started in May 2010, with Brent increasing some 25% from US$70 per barrel to about US$90 per barrel in six months before going on to top out at about US$125 per barrel. The million dollar question is whether last week’s consolidation proves to be the trigger for a strong and sustained rally. 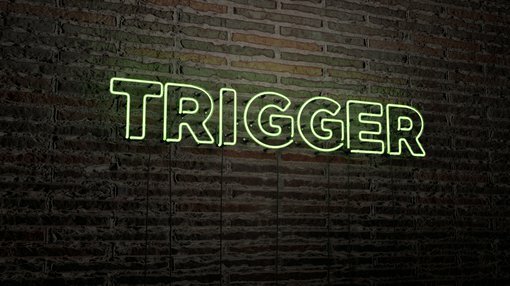 Stepping back to November 8, 2018 when the oil price was on the verge of breaking below US$70 per barrel, Christopher Lewis from FXEmpire made some insightful comments regarding the significance of the US$70 per barrel handle in saying, “Brent markets also tried to rally during the trading session on Thursday but failed again above the US$72.50 level, and it looks like we are going to continue to drift lower. “The next obvious support level is the US$70 handle as it ispsychological support and of course a large, round, psychologically significant figure. History shows that over the next seven weeks the oil price fell to a low of about US$52 per barrel, but since then has made a swift recovery. More important though are Lewis’ observations of how things have historically played out around that US$70 per barrel mark. Reuters looked at some of the key issues likely to play a part in where the oil price moves from here. The global media group cited key developments such as concerns over exports from war-torn Libya, OPEC lead production cuts and US sanctions on Iran’s and Venezuela. As indicated in the article below, Libya is a significant supplier of oil to Europe, producing around 1.1 million barrels per day of crude in March. SINGAPORE, April 9 (Reuters) - Oil prices on Tuesday reached their highest since November as concerns over exports from war-torn Libya stoked tightness in the market, with global supply already hit by OPEC-led production cuts and U.S. sanctions on Iran and Venezuela. "Renewed fighting in Libya ... has seen Brent crude break above $70 per barrel," said Ole Hansen, head of commodity strategy at Saxo Bank. A warplane attacked Tripoli's only functioning airport on Monday as eastern forces advancing on the Libyan capital disregarded international appeals for a truce in the latest of a cycle of warfare since Muammar Gaddafi's fall in 2011. Against this backdrop, Reuters cited other interesting data including positive recent economic data out of China, prompting brokers and fund managers to realign their expectations regarding the oil price and stocks leveraged to the commodity. Money managers raised their net long US crude futures and options positions in the week to April 9, 2018 according to the US Commodity Futures Trading Commission (CFTC). According to Reuters, RBC Capital Markets indicated that crude could exceed the US$80 per barrel mark for intermittent periods during the summer. Other positive news to emerge was the increase in oil rigs operated by US energy companies. General Electric Co’s Baker Hughes energy services firm noted a total count of 833 in a report released on Friday. Harking back to past trends in the ore price, the last time the commodity staged a strong rally which broke through the US$80 per barrel mark was in September 2010, and seven months later it peaked at about US$125 per barrel. One diversified, overlooked and undervalued emerging junior in the oil space is Melbana Energy Ltd (ASX:MAY). 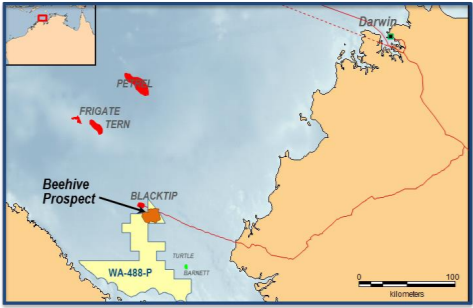 With four fully-funded high impact wells expected to be drilled on two potentially company making projects over the next two years, Melbana is now reaping the benefits of a period where it has built up an unrisked Prospective Resource base of 1.1 billion barrels of oil equivalent. We are only a few months into 2019, but Melbana has already kicked plenty of goals, negotiating a farmout agreement in relation to its production sharing contract in Cuba and more recently notching up an important milestone in bringing Total SA (EPA:FP) and Santos (ASX:STO) on board to progress the Beehive Prospect, offshore Western Australia. 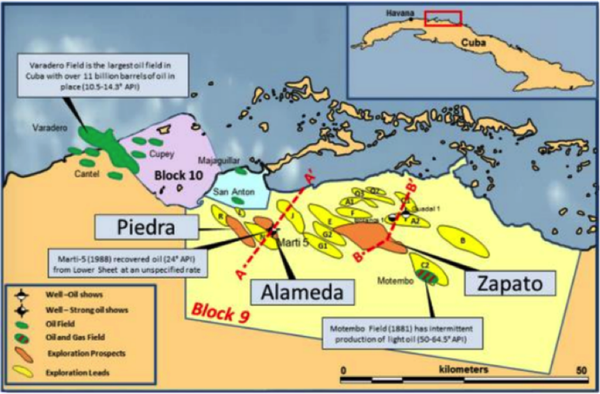 Regarding the group’s Cuban interests, a deal struck at the start of the year will see the Alameda (140 million bbl target) and Zapato (95 million bbl target) prospects drilled by November 2019 and a third well by July 2020, meaning Melbana will be fully carried for 100% of all activities and costs for the remainder of term of Block 9 PSC (20+ years). Beehive is the largest undrilled hydrocarbon prospect in Australia, and Total and Santos each have an option, exercisable together or individually, to acquire a direct 80% participating interest in the permitting and drilling of an exploration well, which is planned to be the Beehive-1 exploration well. The contractual commencement of a six month option period started earlier this month as the final data set was quality checked and accepted by the parties. If the option is exercised, Melbana will be fully carried on all costs incurred from the time the option is exercised until 90 days after the rig is released after drilling the well. The option to farm-in and drill the first exploration well is exercisable at any time by Total and/or Santos, but no later than six months from the date when the Final Data Set was delivered. If the option is exercised, drilling is anticipated in the second half of 2020, with Melbana estimating the cost of the Beehive-1 exploration well to be within the US$40 million to US$60 million range. Consequently, this is a sizeable commitment by Total and Santos, effectively an endorsement of their confidence of success and their belief that a commercially viable resource can be identified, which in their terms would have to be a substantial field. On this note, Beehive has been assessed by Independent Expert McDaniel & Associates to contain a best estimate prospective resource of 388 million barrels of oil equivalent (Melbana’s share: 78 million barrels of oil equivalent).